Responsive and flexible simple page as a landing page for html-emails, should forward the visitor directly to scientific content. The background image reacts to browser window size. 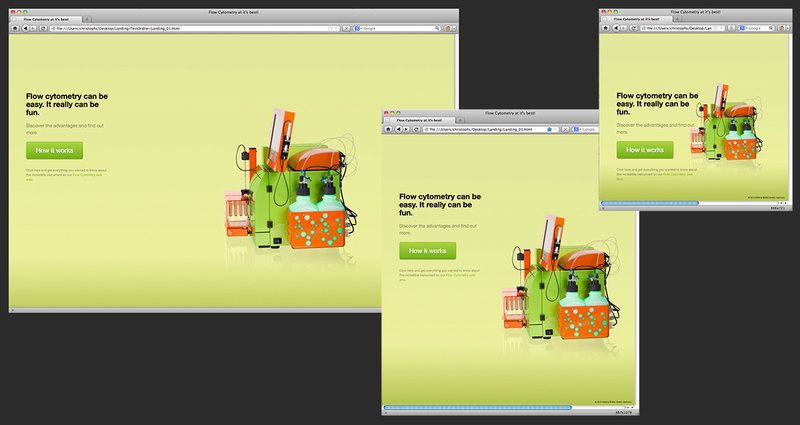 Landing page, made to fit to different screen sizes, and browser window sizes, as a page which leads into web content.